All their lives they wanted to be famous. To get there they need to make the perfect dance routine and they need your help. In this dance fantasy adventure brothers Sean and Seamus rock out some banging moves, run into trouble, have a few tantrums, cause a teensy bit of mayhem and find out if fame is really what they’re looking for after all. 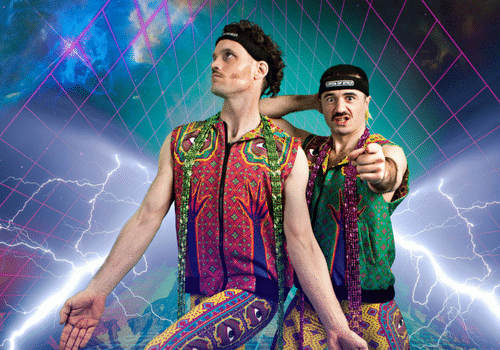 Street Performance World Champions, unlikely heroes of Fringe smash hit RIOT and Britain’s Got Talent favourites, LORDS OF STRUT deliver their most ridiculous and sublime family show to date. Rip roaringly funny, fantastically bizarre and Absolute Legends! This show is suitable for all ages.